Welcome to the official class blog for Dr. Mia Zamora's Spring 2013 ENG 4081 (undergraduate) & ENG 5081 (graduate) course - "Introduction to Electronic Literature". Throughout the course of the semester, students will receive an overview of established and emerging forms of electronic literature including hypertext fiction, network fiction, interactive works, and digital poetry. 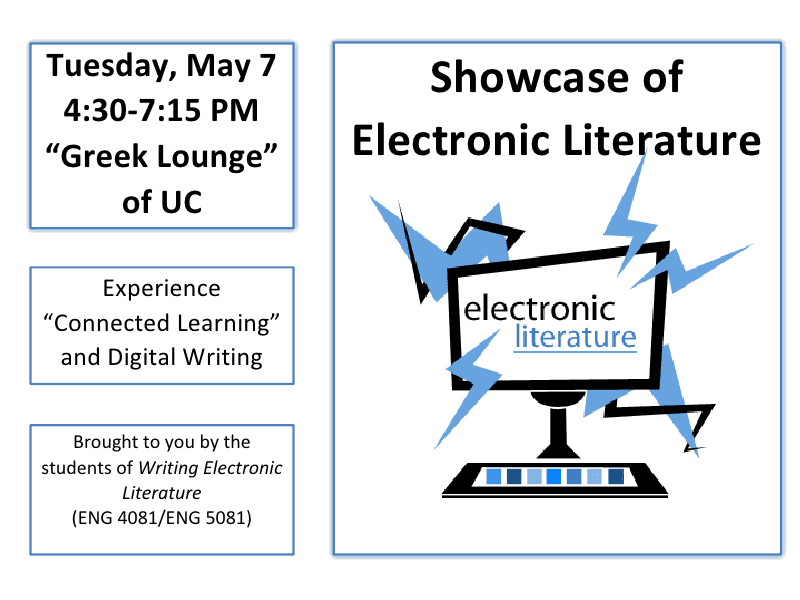 Students will read, analyze,and compose a variety of emerging genres of electronic literature. So as I type, we are currently in our final class "workshop", and you are all diligently working on your final project concept. You are all a great support to each other. This class has been a true learning community. A few announcements regarding our showcase next week. 1. Make sure you link your final project in your blog so it is accessible in our class blog. 2. Please try to arrive a few minutes early if possible, just to make sure we are all set up and ready for our guests. 3. We will have a "round-robin" style presentation room. Each of you will bring your own laptop, and set up somewhere along the long conference table. You will each feature your final project on your individual laptops. Classmates and visitors will circulate around, checking out each student project. You can hang out next to your own laptop to guide viewers through your project, and you should also circulate around the room checking out everyone's work. 4. At 5pm, we will start the "lightening round" presentations of the graduate student projects. They will give a brief presentation of their work on the big screen via projector. I will hook up my laptop to the big screen, so everyone's work is accessible through our class blog. If any undergraduates would like to do a presentation of their work as well, I would welcome that. Just let me know, so I can anticipate the amount of time needed to hear from everyone. 5. There will be some snack food (sweets, appetizers, drinks, etc.). I encourage you to bring some food along too (just to enhance our overall celebration). ...But it is certainly not required. 6. There will be some faculty members stopping by, and some other students. I encourage to bring along your friends. 5. The showcase will be our final class for the semester. Please be sure to take the time to check out each classmates project before our showcase night comes to a close at 7:15pm. Thanks to each of you for such a great class experience. I am really looking forward to our culminating night of class. This has been a fantastic journey with all of you, and our closing showcase next week will certainly be bitter sweet. ......My last blog entry will be a brief review of our showcase. Wow, how this semester has flown right by.... Two more classes left. Great class last night everyone. Now that we are winding down our Review Series, I must admit that I will miss our weekly group exploration of e-lit texts together. Our conversations have been thoughtful, and the readings we have pursued collectively (taken right from the ELC Vol.1) have certainly been enriching. I believe the "Review Series" format we have engaged in throughout the course of the semester has offered us all a chance to discover a broader understanding of what electronic literature can be. Maria did a great job of presenting "Galatea" - a multi-linear interactive fiction (and perhaps a game). Maria characterized the interactivity of this text as a multitude of possible "conversations" the player might have with the character of Galatea. Galatea is the animate or live creation of an artist. The player/reader attempts to have Galatea turn around and cast her gaze upon him/her through the course of possible conversations. Galatea apparently has moods and memory, effecting the way she treats you (depending of course on how you might treat her). 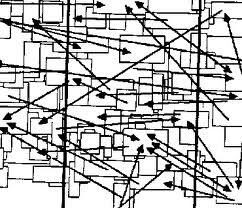 There are numerous "walkthroughs" leading to different "endings" (multiple pathways or plots). The fact that the story is bound to text (rather than visual imagery and animation) is an interesting aspect of how it draws it overall effect. We discussed how this text ultimately explores a psychological universe (rather than a spacial one, as we might see in an animated game). 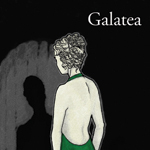 Galatea is, of course, inspired by the ancient Greek myth of Pygmalion, and Maria discussed to how the narrative is in some sense an exploration of the implications of artificial intelligence. -Please remember that your "official" Review is due (via link on your blog) on Monday, April 29th. Many of you have presented your E-lit Review in class, but perhaps you might be editing and/or putting some finishing touches on your final write-up. Even if you are not changing your Review write-up for the April 29th deadline, please post a link to the final version of your Review in your blog this week, so that I may access your Review work easily (without searching your blog archive). Thanks. -We will have a FINAL PROJECT SHOWCASE on our last night of class. Each of you will present your final project in the "lightening round" style. Our showcase will be on Tuesday, May 7th from 4:30pm -7:15pm in the Greek Lounge located in the University Center (across the hallway from the "Little Theater" on the first floor). I am very proud of the work you have done thus far for this class, and I am sure your final projects will also be worthy of the larger community's attention. I will be sending out invitations to colleagues to join us for our final showcase to see the good work you have done. **Please bring family & friends to see your work that night. I will order some light refreshments. You are also encouraged to bring some food to share from home if you feel so inspired. Our final class night will be a celebration. -Next week the entire class period will be devoted to "workshopping" your final project. By next week when we meet, you should be well "on your way" with this project - having mapped out or outlined a concept, and having identified the digital tools you plan to use to realize your concept. Please blog something brief which entails where you are thus far in your process, including your thoughts on concept and tools. I want to see all of you "creating" next week - that is, "doing".....not just talking about doing. It follows that if you have already made some basic progress, you will get much more out of our workshop time together. 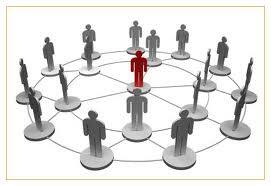 Please come to class prepared to work together trouble shooting difficulties, sharing possible solutions, etc. Also, plan to use twitter during class to crowdsource any questions about your project plans. We are in touch with some great e-lit scholars and practitioners, and I know they are willing to help. Never underestimate the power of connected learning! We had two more excellent E-lit Reviews last week. Both pieces were inspired and accomplished, but certainly very different in scope and tone. Stephanie Martinez took us through the E-Lit "Little Red Riding Hood", an interactive narrative. As a provocative re-interpretation of the well known French fairytale, this text invokes an ominous, dark, mysterious, and decidedly adult tone. With jazzy, contemporary background music, an urban setting, the highly stylized comic imagery of this piece announces itself as a clear "re-working" of a classic. It challenges the assumptions which stem from reading/knowing this age-old children's tale. This version seems to unfold in three parts, beginning with a city highrise location. The second part of the text covers the forest/meadow interlude. Finally the third section of this narrative takes place upon arrival at "Grandma's house". The text is interactive throughout, the reader is choosing outcomes through a variety of link options. 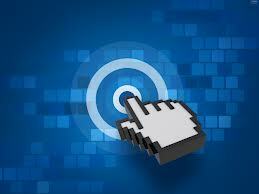 The reader is forced to seek for hard-to-come-by links which are for the most part hidden. Stephanie spent a long time methodically hovering on screens in hopes of unearthing other aspects of the reading. She did discover elements not easily noticed with such effort. The necessary "active search" for links (that are veiled from reader's immediate access) seems to suggest an emphasis on all things "hidden". Things are not what they seem. There is more than meets the eye. There are dark realities that exist beyond the surface. ....This is most definitely a psychological piece, charged with frightening twists and uncanny discoveries. We closed out our class exploration of "Little Red Riding Hood" with the question - would this text qualify as "literature"? Stephanie answered confidently, "Yes, because it is already written". After completing the two reviews from our Review Series, we had some fantastic Project 2 lightening-round presentations. You all made clear "progress" in this second project, exhibiting a new found agility with the tools of your choice. You also exhibited a deeper understanding of the e-lit forum, with further exploration of the interactive aspects of reading in each of your projects. Excellent work to each of you! I can see the growing potential for the final project, as it has been evolving in what you have been able to do thus far. Please make some initial notes/plans for your Final Class Project. (Final Project deadline and presentation date is Tuesday, May 7th). In class this week, we will discuss your initial ideas and strategies (software choices, concepts, etc). Please note: Our class session of April 30th will be devoted to workshopping/ in-class work on your Final Project. -Our class time will begin with two more reviews - "Show of Hands" by Rafiqa; and "Galatea" by Maria. ***Please note Julio - if you can do your review this coming Tuesday night that would be preferable. If you cannot, then you will do your review on April 30th. -After reviews, we will then continue with our remaining lightening round presentations of Project 2. Be prepared to present your Project 2 in class - (5-10 minute overview for the class of what you have created, with your text on the overhead screen). We will hear from all those who were not able to present last Tuesday including - Andria, Rafiqa, Esther, Susan, Kimberley, Julio, Stephanie C., Debbie, and Peter. I am working on securing a "special venue" for our Final Showcase. I will announce in class more specific information about our Final Showcase (slated for May 7th). **Please remember that your "official" Review is due (via link on your blog) on Monday, April 29th. Many of you have presented your E-lit Review in class, but perhaps you might be editing and/or putting some finishing touches on your final write-up. Even if you are not changing your Review write-up for the April 29th deadline, please post a link to the final version of your Review in your blog this week, so that I may access your Review work easily (without searching your blog archive). Thanks. More Reviews & another guest scholar "Twitter Session"
Susan reviewed "Nio" - a sound poem, a kinetic visualization, or perhaps even a kind of interactive musical instrument in its own right. Consisting of loops/threads made up of letters and voiced-over sounds that are layered over each other. The result is a circular synthesis of image, voice, and text. This piece definitely purports a complexity to the notion of "textuality", although the cohesiveness of any apparent narrative is somewhat difficult to apprehend. "Nio" seems to provoke a playful consideration of the relationship between sound, sight, and text. In this piece, the reader is most definitely a "creator", as the interactivity involved is clearly a primary aspect of the work. Susan experienced some "technical difficulties" when she proceeded with her review presentation, simply because the software needed was not accessible on the classroom computer that was being used with the projector. Still, most of us had our laptops, so we were able to follow along with her thorough descriptive explanation of the piece. But that got us thinking - in many ways technology can fail or frustrate us - it can also present significant limitations. When a reader receives a prompt to download new software, this is sometimes a discouraging break in the momentum/flow of the reading experience. And what about "error" messages? Susan's "glitch" in loading the text on the classroom computer became an important segue for us to reflect about the way in which we are at the mercy of the technology as e-lit readers, as well as the ephemeral nature of e-lit. E-literature is bound to technology, and as such, it faces particular challenges in terms of preservation & the longevity of accessibility. As we all know, software platforms are phased out so quickly with newer software eclipsing the former. What will happen to the literature (and literary traditions) created on transient platforms? Must we archive e-texts along with the technology (hardware & software) necessary to run/read them? The "problem" of e-lit preservation is significant one, and Susan's technical glitch, although frustrating for her at that moment, lead us to collectively contemplate the role of technology and the broad reaching implications of e-lit ephemerality. Kimberley then took us through the dynamic and youthful text "Inanimate Alice"- a digital and (somewhat) interactive novel. She explained that this work was produced collaboratively, and that it was recognized in the field as "young adult"e-lit. There are available "teaching guides" for teachers who choose to introduce this text in the primary or secondary school setting. Kimberley explained to us that children's literature is of future professional interest to her, and she was drawn to this particular piece with this in mind. "Inanimate Alice" is a serialized digital fiction project tracking the coming of age of a young girl. Alice is an "army brat" forced to move to different military locations as her father is re-stationed in various parts of the world throughout her childhood. She is of mixed race/cross-cultural identity, and in the first installment of this series, she is seeking her father who seems to have disappeared. With the sound of a constant "static" din framing her entire story, we enter into a technologically enhanced but fragmented postmodern reality. The tone of the text is frenetic and fast paced. Prominent themes seem to include: nature vs. technology, globalization, exile/displacement, the question of home, the question of intimacy and connectedness in the 21st century, etc. This piece seemed to us more accessible to a broad audience, and it seemed apparent how this would make an fitting introduction to e-lit for younger readers. For the second half of class we had another fantastic "guest scholar" twitter discussion with Dr. Leonardo Flores. Dr. Flores, editor of I ♥ E-Poetry, joined us from Bergen Norway, where he is currently a Fulbright scholar. The topic of our discussion was the e-lit creative process. I have "storified" some of our exchange, capturing some of the threads of our overall discussion. I was not able to include all of our tweets (which were quite voluminous), but I think this highlights some of our overarching concerns. In addition, we were also joined by e-lit author & scholar Stacey Mason, who also shared ideas/resources with us. A sincere thank you to both of them for contributing to our class. Here is my "storify" of our twitter discussion. Class will begin with two more reviews - Esther will review "Strings" and Stephanie M. will review "Red Riding Hood". Project 2 is due in class. Please post the link to your project on your blog, along with your "abstract" and any instructions to your readers. Be prepared to present your project in class during our "lightening round" presentations - (5-10 minute overview for the class of what you have created, with your text on the overhead screen). Great class last night everyone. Have a creative & productive week. I am looking forward to reading/seeing/hearing your new work next week. Joe reviewed the intriguing interactive fiction entitled "Whom the Telling Changed". Joe described that from the beginning of this textual experience, the reader/player does not know him or herself, doesn't even know his/her gender, but he/she is immersed in a community that he/she must interact with in order to gain knowledge of oneself and the surrounding world. He also noted that you have a choice whether to enter into this world by reading the instructions, or choosing to forgo the instructions. The reader also has a choice of whether to read through the interactive fiction with a specific words tagged and highlighted, or to skip this emphasis. The text is prompt based - you type in your response, and you move forward in the narrative. Joe described this text as "a story about stories" in a sense, with all points leading to "the telling" - a mythical/timeless account at the center of the community you find yourself in the midst of. He also noted that there is a clear emphasis on reader response and reader control, and he shared with us the extensive data driven research the author did in order to understand the reader experience of his text. This seemed to pose new questions about an "e-lit" approach to reader response. To sum it up, Joe suggested that this text was profound, and an effective "exploration of the human condition". Andria reviewed the flash narrative entitled "Girls Night Out". She explained that she was personally drawn to the pastoral images of elegant horses that make up the opening interface (as she herself was a rider when she was young). But she soon revealed to us very effectively that this story is not what initially meets the eye. It is in fact a dark account of unsolved mysteries involving open land in Texas where several young women disappeared while horseback riding. The poem is effective in that it uses the flash effect to fade out a calm scene of riding through the woods, transformed into the dark fragments of a sinister murder - all through lexia. Andria highlighted how the three primary entry points into the narrative (entitled "poem", "author's note", and "shards") seem to be connected, and yet disjointed, just like the mystery of these real life murders themselves. This text is like a puzzle with many pieces missing, enhancing the overall invocation of a murder mystery with vague clues and only traces left behind. Andria also noted that the flash transitions increased the experience of suspense. Andria did a great job exploring the provocations within this haunting narrative. Here is the link for this site as well: http://youtu.be/PihHZF732BY. PowerPoint, Animoto, and Keynote will allow you to make words and images dance across a screen, and Prezi is another excellent and free option to play around with. Think of Prezi ("The Zooming Presentation Editor") as PowerPoint 'on steroids'. Here is a link to the electronic literature "Authoring Software" site - a resource for teachers and students of new media writing, who are exploring what authoring tools to use. In particular, the "Tools & Applications" page has an excellent list of links to the most popular and accessible digital authoring applications. Here is a link to a site which features free "text generator" software (Xara 3D Text Generator). If you are thinking of developing a poem with flash animation and 3D effects, this might be one way to go. And remember, if you google "free text generator" you will see many options to play around with. There are also many flash tutorials, so remember to "google it". Here is another comprehensive digital story resource entitled "How To Create Simple Digital Stories" that provides links to tutorials and descriptions of different software platforms including - iMovie, MovieMaker, Photostory, and Audacity. Remember everyone - TAKE TIME TO TINKER! We are honored to have Dr. Leonardo Flores, Associate Professor of English at The University of Puerto Rico at Mayagüez, join our class next week for our second "connected learning session". Check out this short video as an "introduction" - Dr. Flores is currently Digital Culture Fulbright Scholar based in Bergen, Norway. 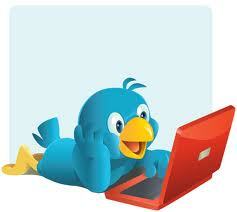 He will be tweeting with us (from Norway) from 6:00 to 7:00pm EST during our next class period (Tuesday April 9th). As you know, the former twitter session with Prof. Gould was very exciting for all of us, and I am sure you will agree that it "opened up" our conceptual/theoretical engagement with e-lit. With that in mind, for our next "guest scholar" twitter round we will speak with Dr. Flores specifically about the e-lit creative process. I asked Dr. Flores to offer us some guidance on the more "nuts & bolts" aspects of creating e-lit, and he has graciously agreed to give us some some pointers and resources. He knows that you will be in the midst of working on Project #2 for class. 1. Choose the software you would like to use in creating your next piece. Write about that choice explaining briefly why you decided to go with that application. "Play around" with the software, and develop some initial foundation for your project that you may build upon in the week before deadline (April 16). 2. Write an early outline of the narrative/text/poem you will be creating. Describe the intended content for your piece, along with the style and design features you would like to invoke. 3. Prepare a question (or a few) to pose to Dr. Flores during our twitter session. 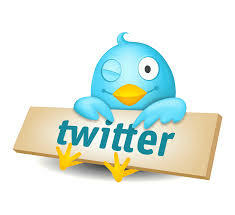 We began class last Tuesday evening with a continued discussion of electronic literature - this time on Twitter. A dynamic conversation ensued, spurned by our recent reading of Amanda Starling Gould's "A Bibliographic Overview of Electronic Literature". Thank you to Prof. Gould for tweeting and sharing her insights with us, and thanks also to new media artist and scholar Stacey Mason, who joined in our conversation as well. I think we all found it inspiring (and exhilarating) to engage experts in the field beyond our own classroom. This was truly a moment of connected learning. Thanks to all of you for your thoughtful participation. As I suggested in class, we might attempt to use twitter again at some point in order to engage e-lit artists about the production/creation/writing of e-lit. While last Tuesday's twitter conversation was more theoretical/conceptual, perhaps next time we can get some technical hands-on advice regarding digital tools and the e-lit creative process. Stephanie C. reviewed "Fitting the Pattern" - an interactive memoir incorporating the logic of dress making patterns, layered over a contemplation of identity and overdetermined maternal influence (tension between a mother's insistence on tradition and a daughter's search to find herself on her own terms). The text features tools (scissors, needles, sewing machine, etc.) which you click to "construct" with (hence the interactivity). Lexia manifests when you direct those chosen tools on the pattern. The act of exploring the lexia is punctuated by sound (cutting and stiching sounds for example), and the screen is striking in contrasting bold black and white. The only use of color is introduced with the lexia that appears when "constructing". Stephanie illustrated how this text calls you to "play around". The interactive aspect of "stitching things together" mirrors the piece's thematic concern with the delicate process of constructing an identity. As Stephanie so aptly put "she feels her clothes should fit her, rather than she must fit her clothes". The tone of this piece is stark, smart, probing, and cutting (no pun intended). Vanessa reviewed the lovely "Like Stars in A Clear Night Sky". This is a flash-hypertext poem. It is elegant, simple - the screen is a dark night sky with a constellation of stars which become the access point for further poetic lexia. Readers can explore the sky of interconnected poems at random. There is an introductory voice-over poem in Arabic (with translation on screen in English). The text is laced with ambient sounds of wind-chimes, offering the effect of a recollection of a distant place, a place of purity/simplicity, perhaps the "village" of one's origin. The tone of the text is soothing, calming, and dreamy - A reflective narrative voice repeats "I am full of stories", perhaps reminding the reader of that universal aspect of our human condition - that we are all "full of stories" - we are all a small universe within the larger universe. Vanessa presented the this text effectively, pointing to the important theme of connectedness, and the way the text also invokes a sense of the vastness of the world. 2. Please read Kathi Inman Berens' blog post describing this week's exhibition on Electronic Literature at the Library of Congress - E-Literature at the Library of Congress. This article includes a lot of information about the exhibit. While reading the blog post you might consider how many of our class thoughts/concerns about the nature of e-lit are also incorporated into the logic/layout of this important exhibit. In Dr. Berens' post you will also read about the Spine Poetry project. Please make your own book spine poem - arrange your book spines, snap a pic, and then post it in spinepoetry.com to be included in the Library of Congress exhibit. 3. 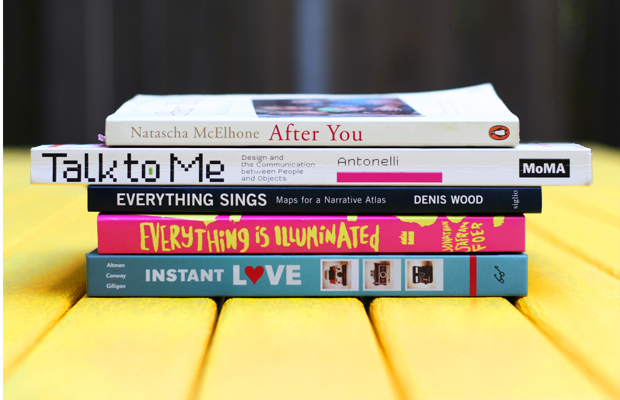 Your blog assignment for next week's class - please post your spine poem that you also submitted to spinepoetry.com. Your next project = a non-hypertext work of digital literature. That leaves a lot to choose from - and hopefully as we continue to read through more e-lit texts via our Review Series you will gather some ideas. The idea for Project 2 is to give you another chance to explore - experiment with ideas + digital lit forms. The one requirement not stated on the sheet is that you do something VERY DIFFERENT from what you did for Project 1. The point is to get a range of experiences under your belt - so when you work on your final project - you have some experiences/material to draw from. We will spend some time exploring/talking about what you can do with software that is readily available as a free download (Audacity, digital story software, etc) or in the "regular" software suites that come with most computers (like powerpoint). The assignment sheet for Project 2 is now also posted on this class blog under "class assignments". Please note the project schedule, since dates are now coming up quickly. Next Tuesday we will quickly finish up the remaining lightening round presentations on Project 1, then continue our Review Series with presentations from Joe & Andria. We will close out our class with a thorough discussion of Project 2. Debbie opened up the evening's discussion with the beautiful flash poem "Faith". She shared with us that she was drawn to the poem due to its stark simplicity. As she stated - "Faith" provides clear sense of an ending. After our earlier experiences exploring hyperlink texts, this poem's recognizable "closure" was just the reassurance Debbie was seeking as a reader (and I am sure she is not alone in this admittance). But we all soon discovered through Debbie's comprehensive and thoughtful presentation of this work that the perceived simplicity was indeed deceptive. "Faith" can only be described as "layered" in the literary sense. This kinetic/animated flash poem thrives on movement and punctuations with sound. We discussed the allusions to the sacred (read "illuminated manuscript") and the signification implicit in both it's use of font color and audio track. The flash elements foregrounded a playful exploration of textual logic, and an editor's sensibility. We agreed it was a beautiful and complex poem. Heather introduced to us to another beautiful text entitled "In the White Darkness". This poetic mediation on the nature of memory was a piece that Heather said she was drawn to right away. The text resonated with her, and she understood it's meaning instinctively. "In the White Darkness" is a flash poem using pulsating nodes layered over a veiled screen of nature. The reader is immediately drawn into a gentle but sad world of fleeting references, like the pieces of experienced time and space that we catch glimpses of, and sometimes lose altogether. Heather shared with us the Japanese aesthetic influences she noticed (and the faded kangi in one nodal link). The overall effect of this flash text is "a presentation of one person's present" - the fragmented nature of what we can re-member in the present, and the traces of what might be lost (or is being lost). We agreed that the tone of the piece invokes a kind of sorrow, and it prompts questions about the erasure of identity when our memory cannot contain our experiences throughout time. Heather did a great job of articulating the power of this text. I am really enjoying our "Review Series" thus far. Each one of you is doing a thorough job of taking us through a new discovery in Electronic Literature. In the second half of class, we had "lightening round" presentations of your hypertext projects. Wow. What great work you did! Innovative, stretching the boundaries of what hypertexts do, fun! For those of you who were not in class or have not presented- you will have an opportunity to present your work next week. Please prepare comments and/or questions for Professor Gould who will be tweeting with us for the first hour of class next week (this is your blog assignment for next week - see below). While tweeting next week, please remember to always use the #elitclass hashtag so we can easily archive our class discussion. After we finish our discussion with our guest scholar, we will continue our Review Series. Stephanie C. will discuss "Fitting the Pattern" and Vanessa will discuss "Like Stars in a Clear Night Sky". We will then have a short "lightening round" of the remaining Project 1 presentations. With the remaining time left, I will discuss Project 2 as I review the assignment requirements, projected timeline, etc. Please write a reflection - your thoughts/questions resulting from reading Amanda Gould's article on Electronic Literature. 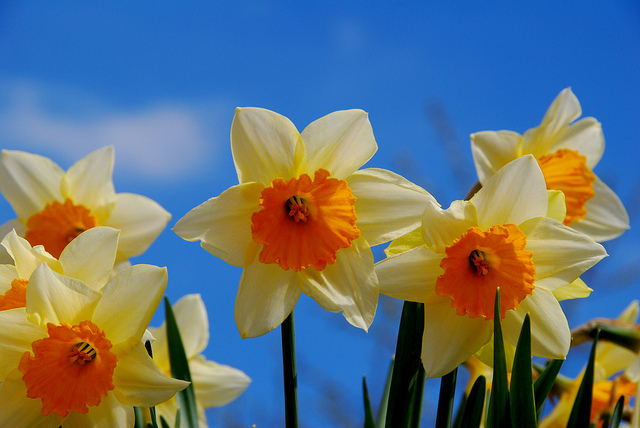 Have a great week, and see you next Tuesday.